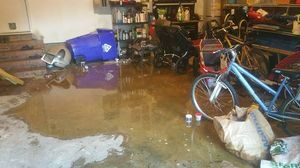 From leaks from a burst pipe to flooding from a natural disaster, home and commercial property owners in East Baton Rouge are no stranger to the devastating effects of water damage. Water damage inside of a building can be a huge problem and have both immediate and long-term consequences. Thankfully, 911 Restoration of East Baton Rouge is an expert carpet drying and flood damage repair company. 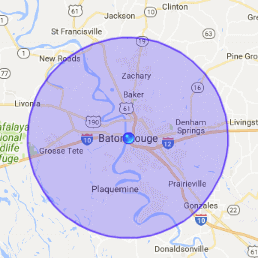 We proudly serve the residents of Baton Rouge as well as the surrounding cities. With a prompt response time of only 45 minutes, we will be at your doorstep to start remedying the problem right away. When water damage strikes, it’s critical to act fast. Within just minutes, water damage can spread to all areas of your home or business, soaking dry wood and discoloring furniture. 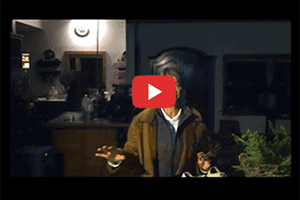 Within mere hours, furniture can start to warp, finished materials can swell, and a musty odor can occur. Within days, mold will start to grow, uncoated metal surfaces will begin to rust, and health hazards associated with indoor air quality will become an issue. This is why it’s imperative to not sit on the problem. You need a fast-acting company to repair your water damage immediately. If your home or commercial property has become flooded, you need to act fast. The long-term effects of water damage on your building are not only pricy, but they can be harmful to your health. If you do not act upon the problem, mold will grow and quickly spread. Mold spores will then start to erode natural fibers, paneling, paper coverings on wet dry-wall, and other building materials inside of your home or business. Serious health issues can occur as an effect of the mold growth. Thankfully, there is always a window of opportunity when it comes to the long-term effects of water damage. 911 Restoration will be at your location within 45 minutes tops. Whether it’s day or night, our team of highly trained technicians are committed to acting fast. As soon as we arrive, we will promptly begin to extract all of the water and dry every inch of surface inside of your building. Armed with years of experience and state-of-the-art equipment, our associates are experts in the flood restoration industry. Not only that, but we offer compassionate and caring services. Our customers are the focal point of our attention. We understand that seeing your home or business flooded can be a devastating experience. We want to show you that there is light in the darkness. 911 Restoration’s “fresh start” approach helps us to help you see the silver lining in this dire time. Throughout the entire disaster restoration process, we’ll offer you a solid shoulder to lean on. We’re not only here to help recover your property, but we’re here to help you stand tough during this hardship. Water damage can be a tricky beast. Not only does it cause an unsightly mess, but the water can leak into undetected and unseen crevices in your walls and under your carpet, leading to mold growth. Mold can cause a bevy of health problems if left untreated. This can include nasal and sinus congestion, respiratory problems, throat irritation, and sneezing fits. People with asthma and allergy problems are especially susceptible to mold. If your property has suffered from water damage, you need a team of IICRC certified mold removal experts to efficiently detect and resolve the fungi issue. Mold is not only ugly, it’s unhealthy. We recently serviced a family in Greenwell Springs that had a mold problem. We offered them a free visual mold inspection for property owners only and sent a sample to a lab for professional mold testing. 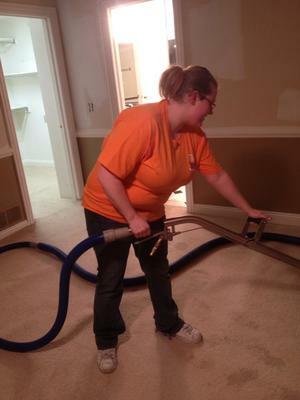 We also performed thorough and complete mold removal services on their home. 911 Restoration of East Baton Rouge wanted to ensure that this family was safe and sound. That’s how committed we are to our customers. 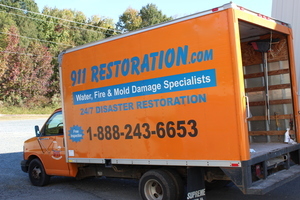 If you are in need of water damage and mold removal services, don’t hesitate to call 911 Restoration. We are available 24/7/365 to help alleviate your problem. We proudly serve the residents of Baton Rouge, Greenwell Springs, and Zachary.